This simple side is perfect for pairing with Slow Cooker Roasted Chicken, Herb Grilled Chicken or Grilled Balsamic Steak. P.S. Be sure to make a double batch, these reheat beautifully and also make a great breakfast side! Yum! Optional: For an extra delicious twist, toss in some carrots! Preheat oven to 425°F. Use a stoneware rimmed baking sheet, or line a large rimmed baking sheet with parchment paper. 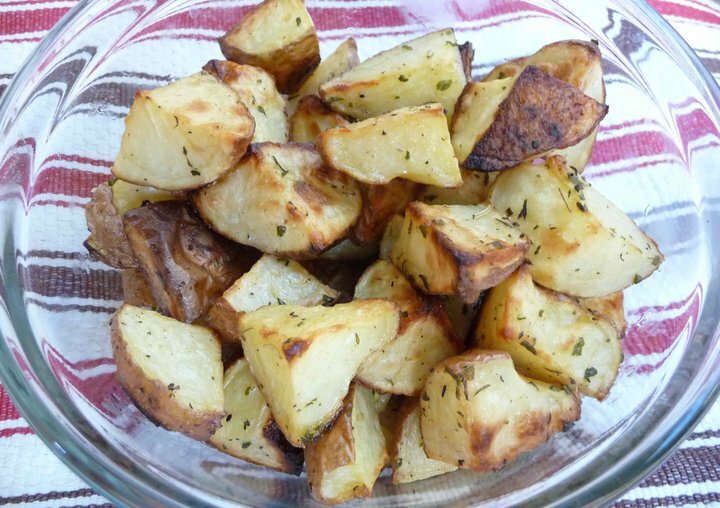 Cut potatoes into wedges by quartering them. Place on a large clean dish towel and pat dry with another dish towel or paper towels. If desired, cut carrots into 2-inch pieces. Set aside. In a large bowl, or gallon-size baggie, combine all ingredients, except veggies. If using a baggie, rub the bag between your hands to combine the ingredients and evenly distribute them throughout the bag. Place potato wedges (and carrot pieces, if using) in the bowl (or bag) and toss well to coat. 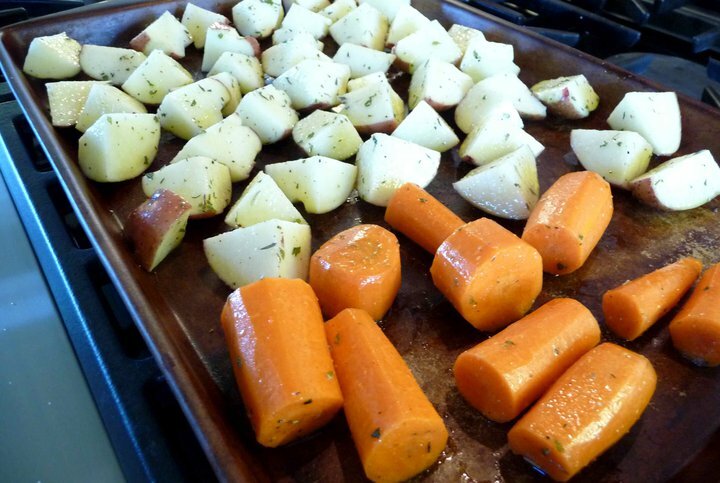 Place veggies on lined baking sheet and bake for 20-25 minutes until lightly browned and cooked through. Be sure to make a double batch, these reheat beautifully and also make a great breakfast side! Yum! I am so grateful for the work put into this website. I have family that needs gluten free or dairy free recipes and I can always find something yummy for our meals together. I find it is a simplified way of eating delicious food, and a much healthier way of eating. Thank you! Thank you for taking the time to leave a kind note, Maureen. I’m so happy that you’re finding this site helpful to you and your family! These always come out perfectly. They are so delicious.